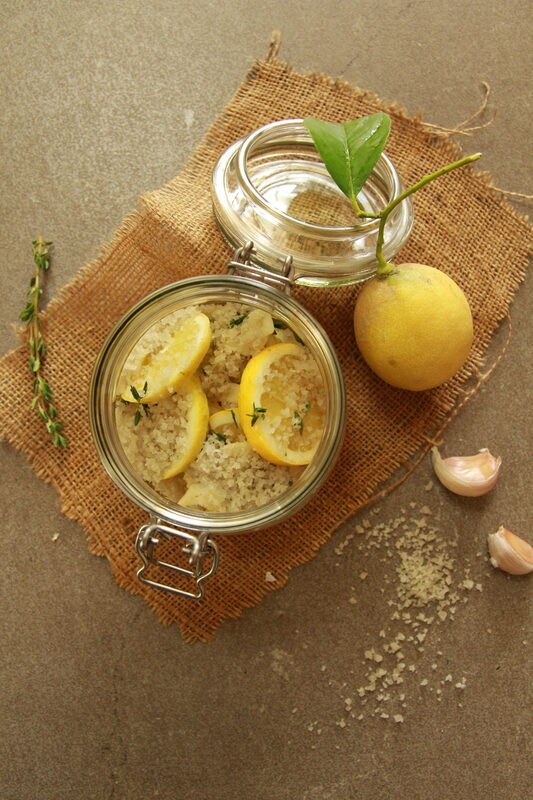 Fermented Lemons – A Staple In Your Home! It’s been a while since I’ve shared a fermented treat with you, so I have just the recipe to make up for it. 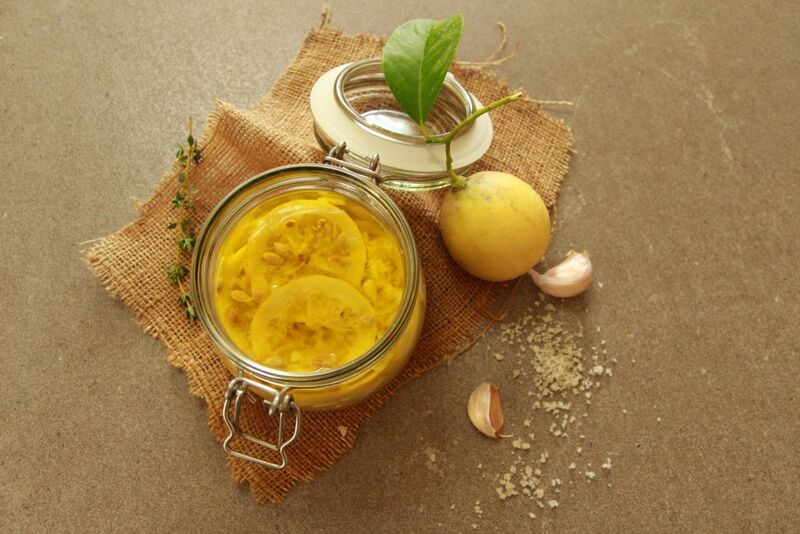 These fermented lemons go great in sauces, sandwiches or on their own. They require only 5 ingredients and make the perfect condiment when ready. Just remember to use a good quality sea salt that still has all its minerals and profiles in it and hasn’t been refined. Wash the lemons, cut off and discard the ends, then slice them into thin circles. Peel and finely slice the garlic cloves and remove the thyme leaves from their sprigs. 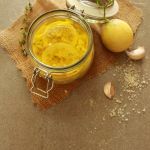 Place a thin layer of lemon slices into a clean glass jar, then add a few thyme leaves, garlic slices and some of the sea salt. Repeat this stage, until everything’s in the jar. Make sure your hands are clean and dry. Push the lemons into the jar as much as possible, until the juice of the lemons covers the top layer. Weight the lemons down or add a thin layer of olive oil to cover the lemons. It’s important to make sure everything stays under the brine and nothing is exposed to the air or mold will grow. Close the lid and store away from direct sunlight until the lemons have softened and aren’t bitter. This can take anywhere from 2 weeks to 1 month so be patient, because these fermented lemons taste incredible when they’re ready! If you enjoyed this fermented recipe, then try my Homemade Sauerkraut, or my unbeatable Dill Pickles. 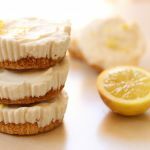 Or if you’re in the mood for a sweet treat, then try my Mini Lemon Cheesecakes! They’re easy to make and you don’t need any cashews to make them. ← Puffed Rice Bars With Peanut Butter Drizzle!